Midrash provides a revolutionary guide through the most difficult passages of our life stories. 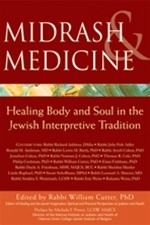 This groundbreaking volume examines the spiritual shortfalls of our current healing environment and explores how midrash can help you see beyond the physical aspects of healing to tune in to your spiritual source. The role of community in addressing aging, loss and suffering.